Mt 3:13 Then cometh Jesus from Galilee to the Jordan, unto John, to be baptized by him. 14 But John stayed him, saying: I ought to be baptized by thee, and comest thou to me? 15 And Jesus answering, said to him: Suffer it to be so now. For so it becometh us to fulfill all justice. Then he suffered him. 16 And Jesus being baptized, forthwith came out of the water: and lo, the heavens were opened to him: and he saw the Spirit of God descending as a dove, and coming upon him. 17 And behold a voice from heaven, saying: This is my beloved Son, in whom I am well pleased. “I ought to be baptized by you,” (Mt 3:14), in today’s gospel. Holy Mother Church today celebrates this feast of the Baptism of Christ, about which today’s gospel speaks, how Christ was baptized by St. John. And our sermon shall be about this. We have a number of good speculative teachings to enlighten the intellect, and moral instructions for the correction of life. But first let the Virgin Mary be hailed, etc. In the present sermon I have thought to follow the way of jurists, who in their schools, when they want to read or dispute, first set forth the case of the law [casum legis]. Then ask how the law applies [quid iuris]. So first I shall recite the case of divine law, the story of the holy gospel. Then I shall posit some speculative and moral questions. The gospel story tells how Christ came from the town of Nazareth to John at the Jordan that he might be baptized by him. The Holy Spirit revealed to John that this man was the savior of the world, true God and true man. On account of which John, in wonder, spoke reverently the theme text: “I ought to be baptized by you, and you come to me? ” (Mt 3:14). Christ said to him, “Suffer it to be so now. For so it becomes us to fulfill all justice,” (v. 15). Christ did not speak pompously [pompatice] as from the Lord, but he spoke personally, as himself to John saying, “So, through humility it is fitting that we fulfill all justice.” Christ, “Humbled himself, becoming obedient unto death,” (Phil 2:8). Behold here the total fulfillment [impletio] of justice in human redemption. Gregory the Great, [Easter Prayer]: “It would benefit us nothing, unless we had been redeemed.” Behold, John also was humbled to fulfill the command of Christ that he be baptized, and trembling all over, he baptized Christ. The Church, the Baptist, trembled, and dared not touch the holy crown of the head of God. With a shudder he cried out, “Sanctify me, Savior!” John used this form in baptizing Christ. Morally, we are here instructed by this, that John, so holy himself, about whom Christ said, “among them that are born of women there has not risen one greater than John the Baptist,” (Mt 11:11), dared not touch Christ. Note here how great ought to be the purity and good life of priests who have to touch Christ in the sacrament of the altar. And so holy scripture says, “The priests that come to the Lord, let them be sanctified, lest he strike them,” (Ex 19:22). Also the laity are not to approach the altars, cf. Numbers 1 & 3. One who is not of the family of Aaron, i.e. not a priest, who comes forward, is to be killed. If what is said in the old law is true, holier and more worthy is the altar of the new law than the old. How much more dignified is Christ who is sacrificed on the altar of the new testament, than a lamb which is sacrificed on the altar of the old testament. So the altar of the new testament is of a greater dignity. I argue now from the lesser to the greater. If then there was a punishment of death for one who approached the altar by leaning on it …if it is said, “Never can a man kiss the altar,” etc., I reply “always, reverently,” but it would be better to kiss the ground next to the altar where the feet of the priest stand. “Be you humbled therefore under the mighty hand of God, that he may exalt you in the time of visitation,” (1Pet 5:6). Tell of how the hand of the divine person or power humbles and brings low the proud and exalts the humble. Now, having stated the case of the gospel law, some questions have to be raised [quid iuris] – what law applies. And I raise five questions for discussion. First about this, where the gospel says. “Jesus comes from Galilee to the Jordan, to John, to be baptized by him,” (Mt 3:13), it is asked: Why did Christ wish to be baptized? The reason for this question is because baptism is given primarily against original sin, and also against actual sins if there are any. But Christ did not have any sin, neither original nor actual. “Who did no sin,” (1Pet 2:22). Therefore it seems that he ought not to be baptized. Recall the appropriate legend about the unicorn which by the touch of his horn purifies water. Then the awaiting animals can drink. This properly signifies the baptism of Christ. And so in sacred scripture Christ is called a unicorn: “But my horn shall be exalted like that of the unicorn: and my old age in plentiful mercy,” (Ps 91:11), and the prophet speaks in the person of the church saying, “shall be exalted.” Christ is like a unicorn, because divinity and humanity in Christ make up only one horn, i.e. one person. “And my old age.” Note, just as the ages of a man are seven, so also are there seven ages of human nature: infancy was from Adam to Noah; childhood from Noah to Abraham; adolescence from Abraham to Moses; youth from Moses to David; adulthood [virilitas] from David to the Babylonian captivity; old age from the Babylonian captivity to Christ; decrepitude from Christ to the end of the world. See why he says, “My old age in plentiful mercy,” i.e. abundant, because now the mercy of God abounds, for all sins with respect to guilt are remitted in baptism and also with respect to punishment. Another text authority, Luke 1:69 says: “And he has raised up a horn of salvation to us.” “The horn of our salvation” is the body of Christ. Today, this most pure unicorn touches the waters, so that by his touch he might confer a regenerative force for all others. Tell how Christ terminated and finished the purification of the old law, which took place through circumcision, and begins the purification of the new law, which happens through baptism. Christ is called the “Alpha and Omega; the beginning and the end,” (Rev 21:), the beginning of the new law and the end of the old. For this reason we Christians receive only baptism and not circumcision, because in Christ the sacraments of the [old] law have their end and term. God said to Abraham, “Walk before me, and be perfect. And I will make my covenant between me and you,” (Gn 17:1-2). Between these two terms or forces, Abraham and Christ, the covenant of circumcision should endure for two thousand years. The Apostle says , “Behold, I Paul tell you, that if you be circumcised, Christ shall profit you nothing,” (Gal 5:2). Whoever, therefore, wishes to be circumcised, following the example of Christ, sins gravely. 2. WHY OUGHT JOHN BE BAPTIZED? I reply, according to the determinations of the holy doctors, that baptism places a character in the soul, a certain beautiful sign, like a royal crown, which sign no one in paradise can have unless he had been baptized. So neither Abraham, nor Isaac, nor Jacob, nor David nor anyone of the old testament have this sign, nor also those fifty philosophers [rhetores] of St. Catherine [of Alexandria] who were killed without the baptism of water, although they were saved by the baptism of blood. Of this sign the Apostle says, “Believing, you were signed with the holy Spirit of promise, who is the pledge of our inheritance,” (Eph 1:13-14). “The pledge” is the down payment of the inheritance, like that which they give to merchants. 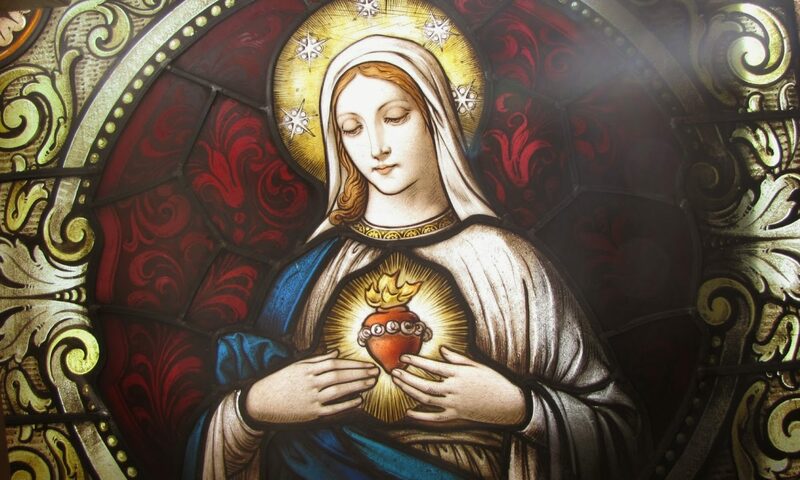 Therefore, although St. John had been sanctified in the womb of his mother, nevertheless he did not have the character. Because of this, so that he might have it, he said to Christ, “I ought to be baptized by you,” to receive this sign. And because he said “I ought,” we have for certain that Christ baptized St. John, and also the apostles and disciples. From apostolic authority: “Jesus and his disciples came into the land of Judea: and there he abode with them, and baptized,” (Jn 3:22). But it is said John 4, as if to the contrary, “Though Jesus himself did not baptize, but his disciples,” (v. 2). Augustine and the Gloss agree on this point, when John says, “and he was baptizing.” The Gloss says [he was baptizing] the disciples and apostles, though Christ did not baptize others. The disciples baptized others. For the same reason it is believed that Christ baptized the Virgin Mary, that she might have that sign of the crown. You know the difference between a crown and a tiara [crinale]. The sign of the character is like a crown, and on its front it has a band [monile] with the name “Jesus.” “Lo a lamb stood upon mount Sion, and with him an hundred forty-four thousand, having his name, and the name of his Father, written on their foreheads,” (Rev 14:1). Morally. Because we Christians bear the name of Jesus written on our foreheads, beware lest we bring the name of the devil in our mouth, saying, “In the devil’s name why did you do such and such.” Take note of the thief crying out “Jesus!” and the devil crying out “Thieves! Thieves!” This is against those who don’t know how to say anything without invoking the name of the devil. David, Psalm 39: “Blessed is the man whose trust is in the name of the Lord,” (v. 5), and does not speak the name of the devil. 3. WHY DID THE DOVE DESCEND? The third question is about this. The Holy Spirit “descended like a dove,” (Mt 3:16) on him. Why? Because it is certain that Christ as man, from the instant of his conception, received the Holy Spirit, who never left him: Isa 61:1 and Luke 4:18, “The Spirit of the Lord is upon me. Wherefore he hath anointed me,” by grace at my conception. Response: The Spirit descended like a dove on him, not as if he had not had it before or he was not in him, nor that he might confer at that moment a new grace, as he would coming on the apostles on the day of Pentecost (Acts 2), and in Luke 1:35, he came upon the Virgin Mary, but to show us that the Holy Spirit descends on one who is baptized, and there he makes his dwelling as if in his own temple. When someone before baptism, by habit at least, or by reality, or vow becomes the dwelling place of demons, in being baptized he is exorcized to expel the demons. Morally, from the fact that once the Holy Spirit takes up his dwelling place in a creature, he never recedes from the creature unless he shows irreverence to him through mortal sin. He does not leave for venial sin. But when a man sins mortally, then he drives the Holy Spirit from himself and welcomes the devil. O what an injury! To expel the king and to welcome a lecherous pimp [ribaldum lenonem]. So scripture says, “For it had been better for them not to have known the way of justice, than after they have known it, to turn back from that holy commandment which was delivered to them. For, that of the true proverb has happened to them: ‘The dog is returned to his vomit;’ and, ‘The sow that was washed, to her wallowing in the mire,'” (2Pet 2:21-22). So children should be taught and nourished lest they hand over a mess to the Holy Spirit who dwells in them. See what parents ought to teach their children..
4. WHY DID THE VOICE SPEAK? The fourth question is about this, “A voice came from heaven: You are my beloved Son; in you I am well pleased,” (Lk 2:22). It is asked why this voice has happened, because it is certain that Christ did not begin then to be the Son of God, because Christ eternally is the Son of God. Authority: “The Lord said to me: You are my son, today have I begotten you,” (Ps 2:7). Note when he says here “today,” many days result from the interposition of night. If the sun hovered over us always, there would be only one day. In heaven, there never is night, because God always, invariably, illuminates. “The city has no need of the sun, nor of the moon, to shine in it. For the glory of God has enlightened it, and the Lamb is the lamp thereof,” (Rev. 21:23). When it is said, “Today have I begotten you,” i.e. in eternity. Therefore why does that voice speak? Response: Because that voice does not come for Christ, but for us, to show that in baptism we are made children of God. Just as a man with his wife begets legitimate sons and daughters, so Christ [begets children] with the Church his spouse. “The seed is the word of God.,” (Lk 8:11). Therefore we Christians are all children of God, of the king Christ and the queen, the Church. It is otherwise before baptism. But after baptism parents ought to consider themselves as nurses of the child of Christ the King. “[A woman] shall be saved through childbearing;” that is, by nourishing, “if she continue in faith, and love, and sanctification,” (1 Tim 2:15). “Behold what manner of charity the Father has bestowed upon us, that we should be called, and should be the sons of God,” (1Jn 3:1). Morally, we are instructed that just as the sons of the king do not go to the brothel, nor to taverns, nor to the place where they play dice etc., so neither should Christians, otherwise they would become unworthy and not gain the inheritance of paradise etc. 5. WHY DID THE HEAVENS OPEN? The fifth question is about this, “And the heavens were opened,” (Mt 3:16). It is asked why this, because the heavens were always opened to Christ. “All things are naked and open to his eyes,” (Heb 4:13). I reply that the heavens were opened not for his sake, but to show that the heavens are opened to those who are newly baptized. It was otherwise before the coming of Christ, because for more than five thousand years the heavens had been closed to mankind. The gates of paradise had been closed for all because of Eve, and through the Virgin Mary they had been opened again, etc. And so children who died after baptism before they had sinned mortally, immediately flew straightway to paradise, and they found heaven open. About whom Christ said to the gatekeepers of paradise, “Suffer the little children, and forbid them not to come to me: for the kingdom of heaven is for such,” (Mt 19:14). Some women err when they say that they bypass purgatory because of [enduring] a mother’s pains. “When [he] was in the midst of the captives by the river Chobar, the heavens were opened,” (Ez 1:1). “Chobar ” means baptism. Morally, we are instructed lest we grieve for such children when they die. You should rejoice as if the king had taken your son into his court. Rather you should weep for your lecherous adult children [adulti ribaldi]. The Apostle [Paul] writes, “And we will not have you ignorant, brethren, concerning them that are asleep,” innocently at rest, “that you be not sorrowful, even as others who have no hope,” of resurrection, (1Thes 4:13).